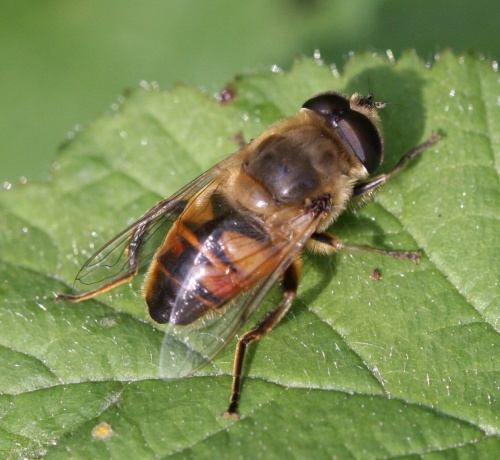 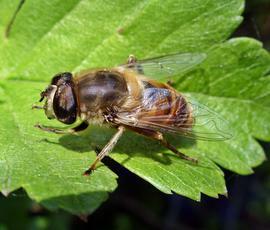 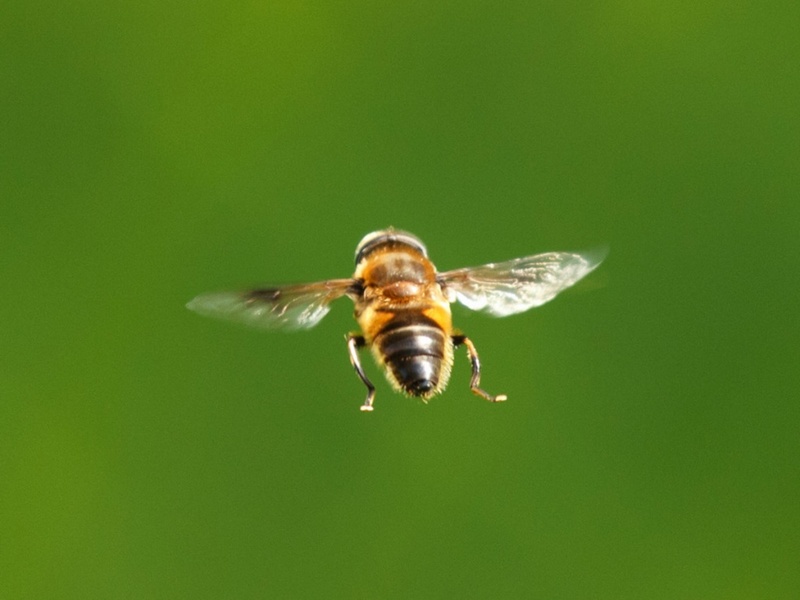 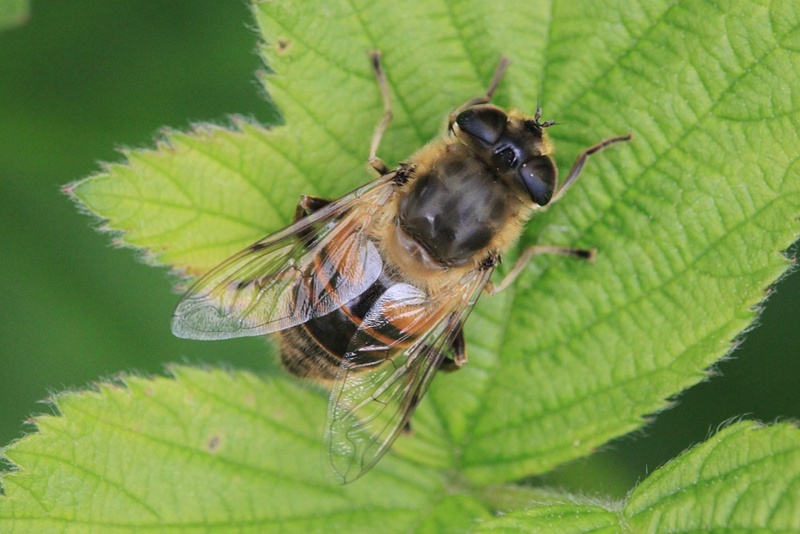 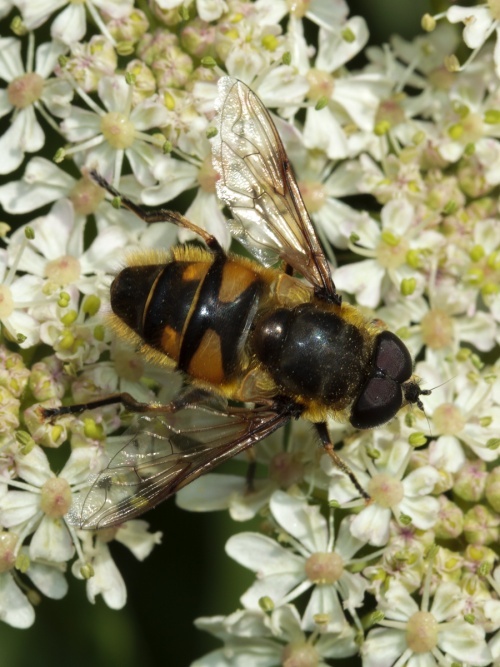 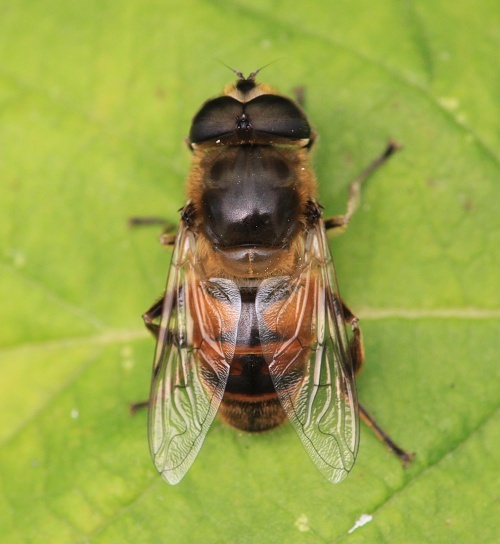 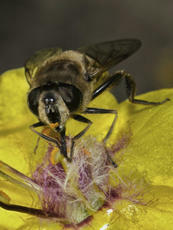 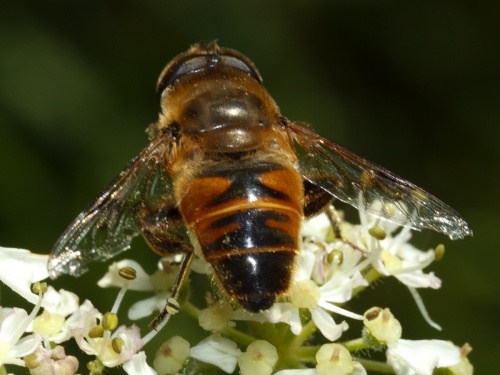 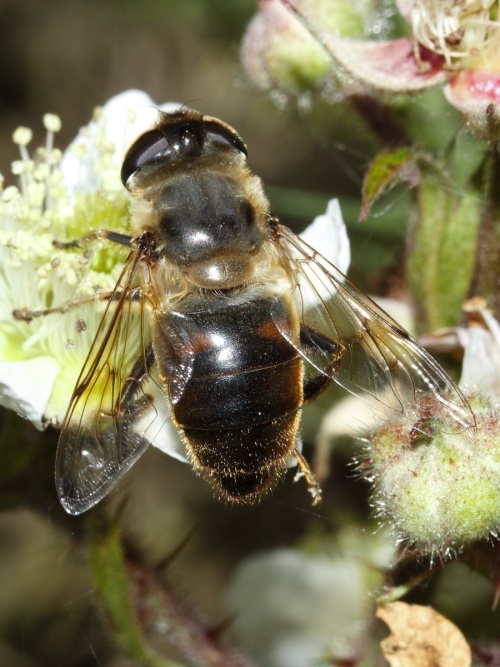 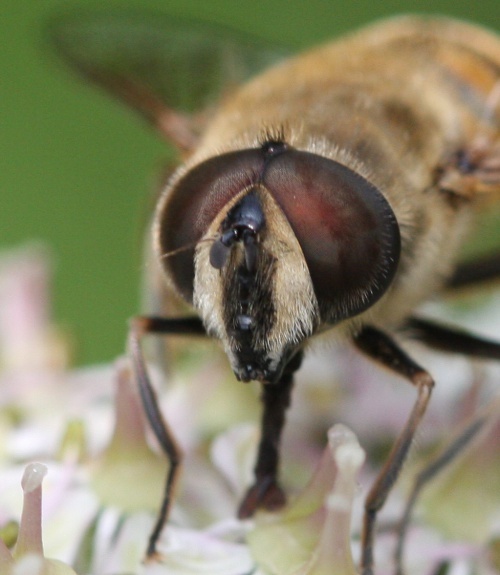 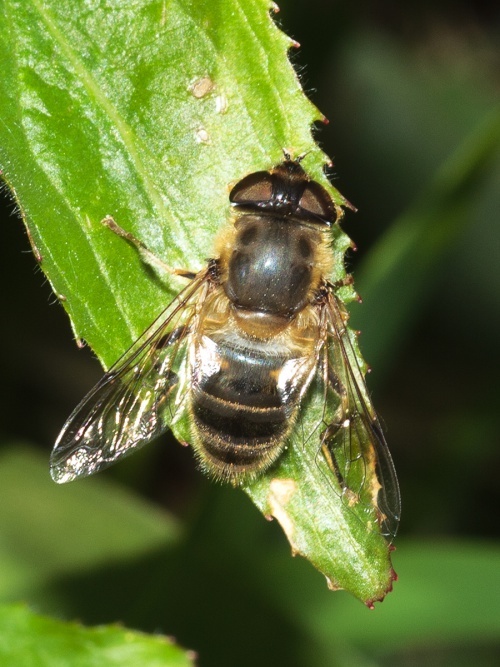 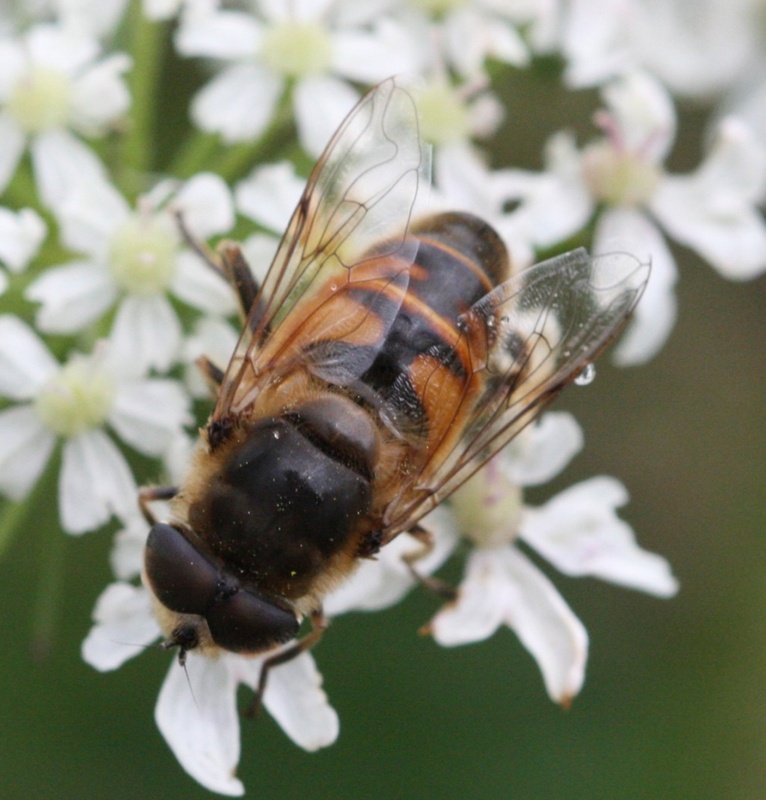 This stocky hoverfly is the commonest 'drone' fly, so called because they mimic bee drones (male hive bees). 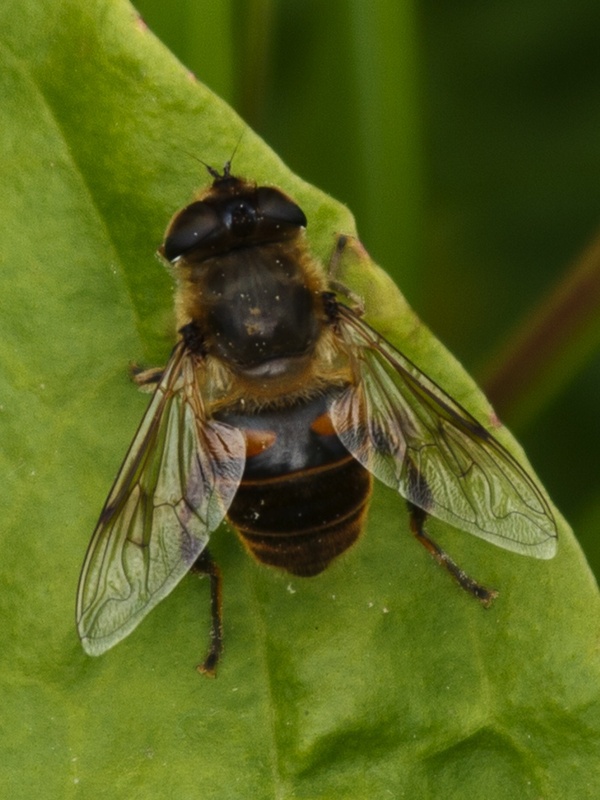 The orange marks on the abdomen are variable so are not a reliable identification feature, though most specimens have a single pair near to the thorax. 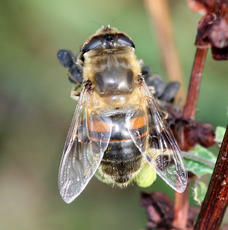 It also has a very noticeable dark face stripe and curved rear tibia. 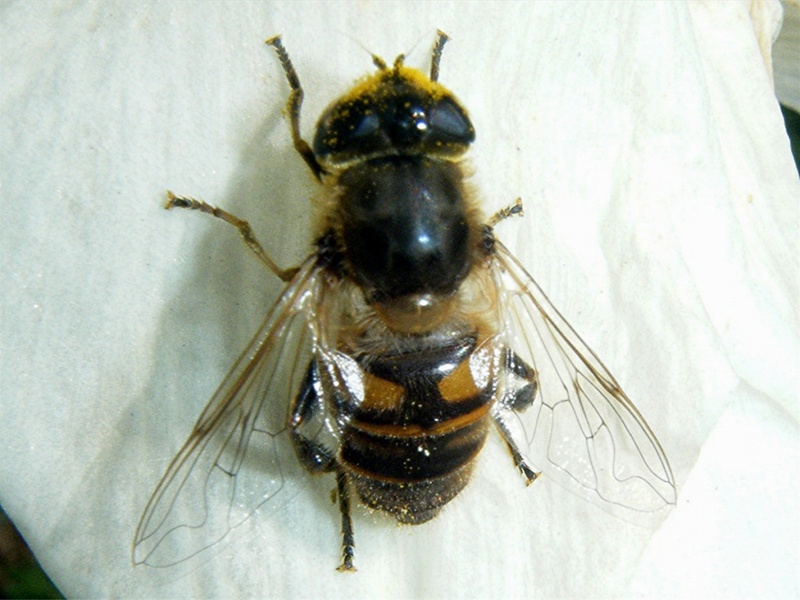 It differs from E. pertinax in having dark front tarsi and banana-shaped rear tibia. 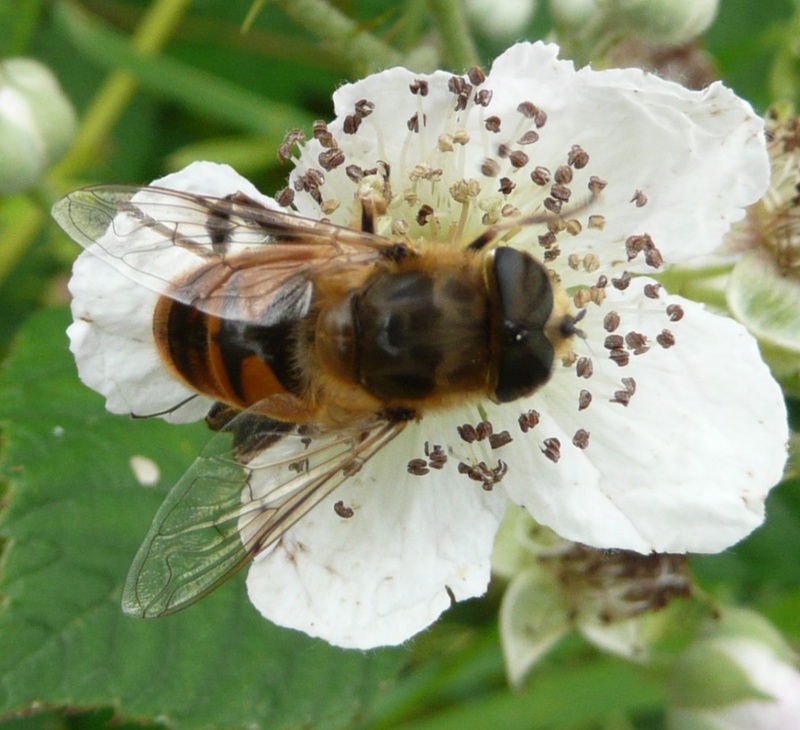 Virtually all year round. The female hibernates in buildings and crevices but will emerge on warm days in late winter, leading to it being seen in virtually every month of the year. 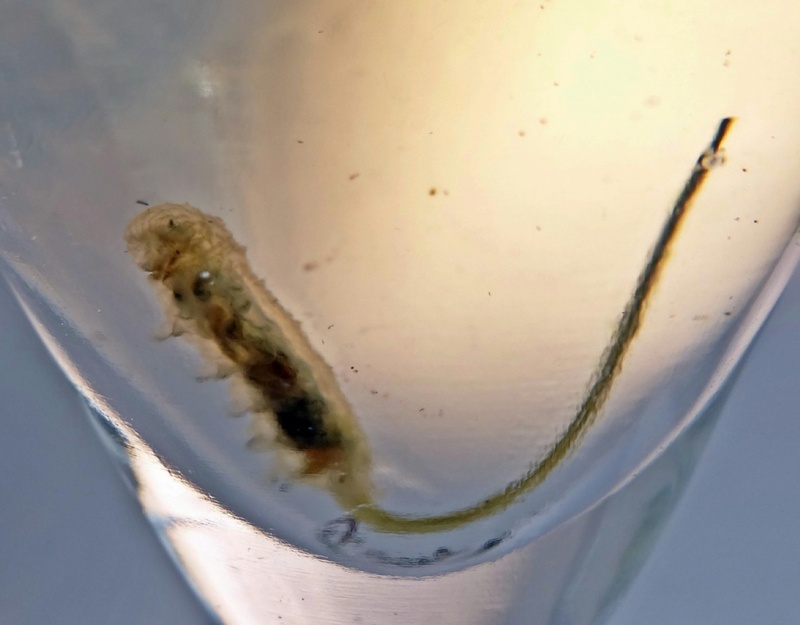 Larvae live in organically rich polluted rivers and drains, the run off from dung, silage heaps, etc. 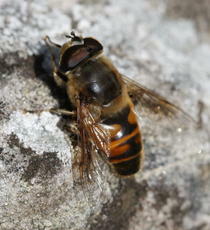 Widespread and very common throughout Britain.